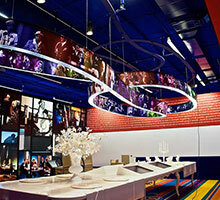 Discover what inspires you with CLIPSO® SO DECO printed coverings! 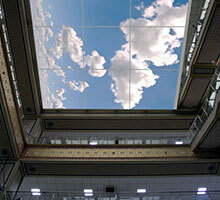 SO DECO® enables you to have almost any image printed on your fabric ceilings and walls. 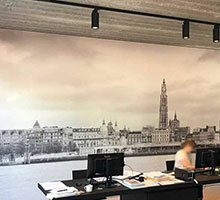 Printing is available on CLIPSO Acoustic, Translucent and Standard Coverings. Browse through our ready-to-use galleries of images and find the perfect one for your project. 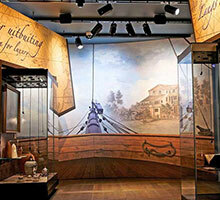 Choose from dozens of world-renowned artists through our partnerships with national museums, artists and photographers. For the ultimate custom design, print any of your own personal image files to create custom murals or inspirational pieces. Or you can manually create your own work of art and our Graphic Design Specialists can adapt the artwork into a high-definition file ready to be printed onto any size project. The possibilities are endless… and so is the size potential! With SO DECO by CLIPSO, you can print up to 16’ wide by 150’ long without joints or seams and go even bigger by marrying up fabric panels to reach whatever size you would like. So discover what inspires you with CLIPSO SO DECO printed coverings!